It doesn’t matter if you are a senior or a freshmen, everyone is equal on the course. Cross country is a sport that tests your willpower – improving yourself by pushing through exhaustion and pain. 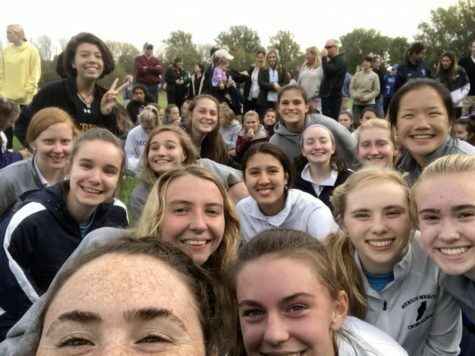 As their season raced to a halt, the members of the Merion Mercy Cross Country reflected on all they have accomplished this season with pride and nostalgia. The season began at Haverford College in the middle of August. Practice started early in the morning so the girls wouldn’t have to torture themselves by running in the heat of the day. They ran about fifteen miles each week, sprinting workouts sprinkled throughout the days. It was a challenge, as most of the team had never run cross country before. They came out stronger because of it. With preseason complete, they were on their way to their weekly Wednesday ACAA meets. The team competed in six ACAA meets. Lorimer was the most challenging course. It was an uphill climb the whole 3.1 miles! Rosetree did not fall far behind in difficultly. Thankfully, the team got that meet out of the way quickly. Their meets at Villa Joseph Marie, St. Basils, and Gwynedd Mercy fell somewhere in between. 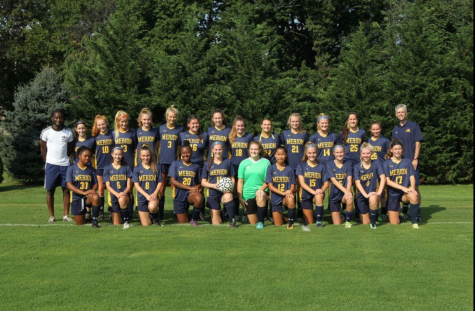 Their meet against Villa Marie and Villa Joseph Marie at Malvern Preparatory School was a team favorite. They came in eighth overall at ACAA championships. Throughout their season, the team ran at invitationals such as Paul Short, Penncrest, and at Belmont Plateau. At Belmont Plateau, the team was split into two relay teams of four. Each leg of the relay ran two miles each. At Penncrest Invitational, Claire Mckernan ‘17, Cate Aaron ‘21, and Isabelle Millan ‘21 placed top ten in their races and earned a plaque. Paul Short was the biggest meet the team participated in! They raced against 298 other girls. They each got their best times for the season at this race.